Sessions and Graphs are standard ways to watch and analyze your winnings. “Fish Count”, “Relative fish position” reports are examples of unique and extremely usefull reports adopted to the modern competetive online poker environment. 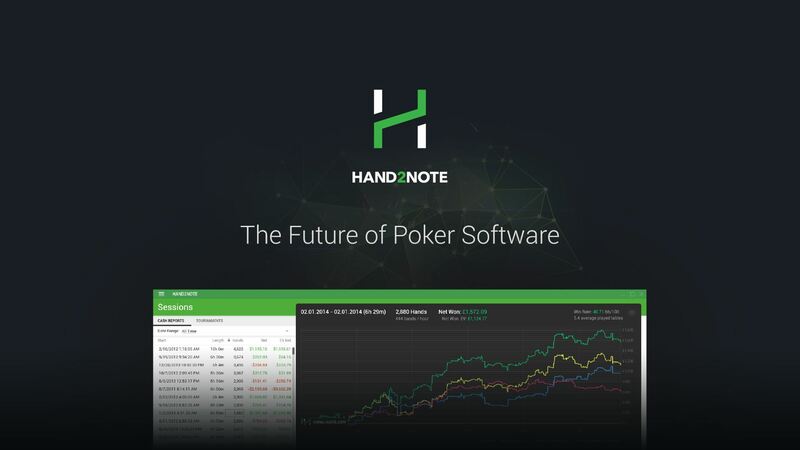 All high stakes professional players among our users recognize Hand2Note as the most efficient software for exploring their opponents’ game. The key is interactive and responsible popups with a lot of information on the player in one place. Days of slow import, freezes and huge databases are long gone. Hand2Note uses the latest data compression and database technologies to achieve the highest performance while operating high volume of comprehensive calculations and huge data flow. Easily create any specific statistics you need in our HUD, Popup and Filter Editors with intuitive user interface. Build comprehensive popups incredibly faster then in any other poker tracking software using Mass Clone. We provide private service helping customers migrate their HUDs and popups from Holdem Manager, NoteCaddy and Poker Tracker to Hand2Note. We guarantee fast and reliable private HUD development of any complexity. You will spend much less time to make standard notes on your opponents. Espesially usefull for people who play many tables and have a lack of time during game process. Insert short visual represantation of a hand instead writing it as a text. 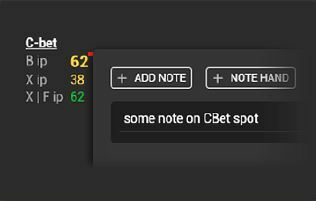 It will increase readability of your note and provides more important information about noted hand: positions, actions and board. 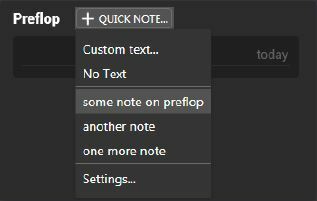 This feature solves the biggest problem of notes taking: you don’t have time to find required notes among dozens of other notes on a single player. Pin note to a specific stat and then all your notes will be structured according to its relevant spots. Find leaks in your game estimating expected value of each action with Hand2Note EDGE package. Hand2Note shows how much money you won in a single spot taking into consideration pot and pot odds. Range Research designed to explore ranges of different types of players in spots where you usually don’t have enough sample on your opponent. Range Reseach is evaluated as the most valuable feature of Hand2Note that may significantly improve your game and available only for the highest price package. Hand2Note automatically excludes spots where regular played against fish while calculating statistics because regulars play in a completely different way against fish. Your data will become much more accurate. Popups are not only for stats! 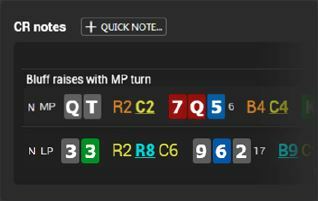 Insert preflop/postflop diagrams, notes, hand of lists and even tabs inside other tabs. Do you like watch every single hand fish played at the table? Then this feature is for you. All unchecked showdowns of a player are easy to access. We work with lots of other poker resources to make sure we provide most innovational and efficient software on the market. Like Hand2Note - support us!